Hiking into the Thorofare is a several day commitment to being in the wilderness on your own. This trip is often considered the ultimate backpacking experience simply due to its length and its destination - the most remote spot in the continental United States. Once you get past the first day’s grueling mileage and elevation gain, the trail becomes moderate and pleasant with views that few people will ever get to see. Bragging rights are one of the best things about hiking into the Thorofare. Once you tell other outdoor folks that you’ve been into the Thorofare, your outdoorsman status instantly ratchets up. A lot of people would love to backpack this trail, few will. The scenery is spectacular all along the trail. The deep gorge of Deer Creek as it slices off the Absaroka Mountains is impressive and incredibly close, especially when you have to try and make room for yourself, a big pack and a passing horse and rider. 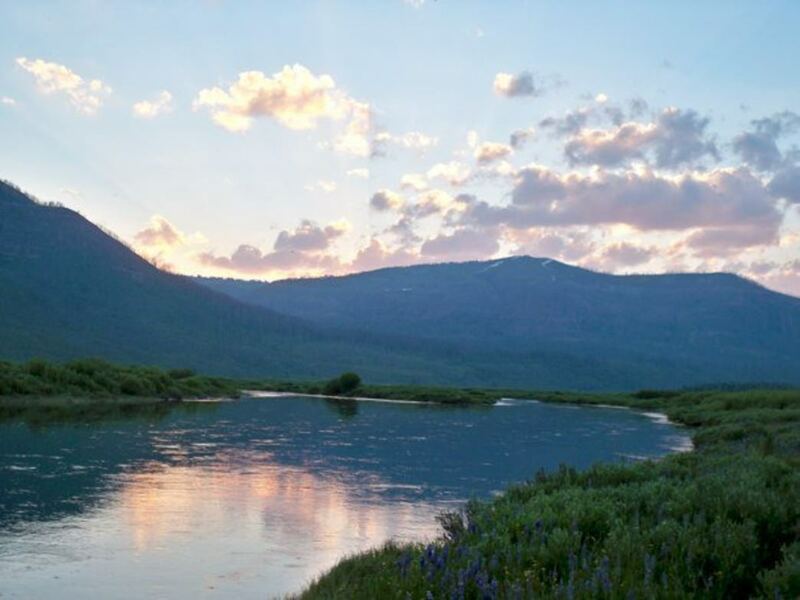 You’ll cross through the Washakie Wilderness into the Teton Wilderness and get over to the western base of the high southern Absarokas. Although not the easiest trail into the Thorofare, Deer Creek is the most direct and the shortest in length. The first day is ambitious. 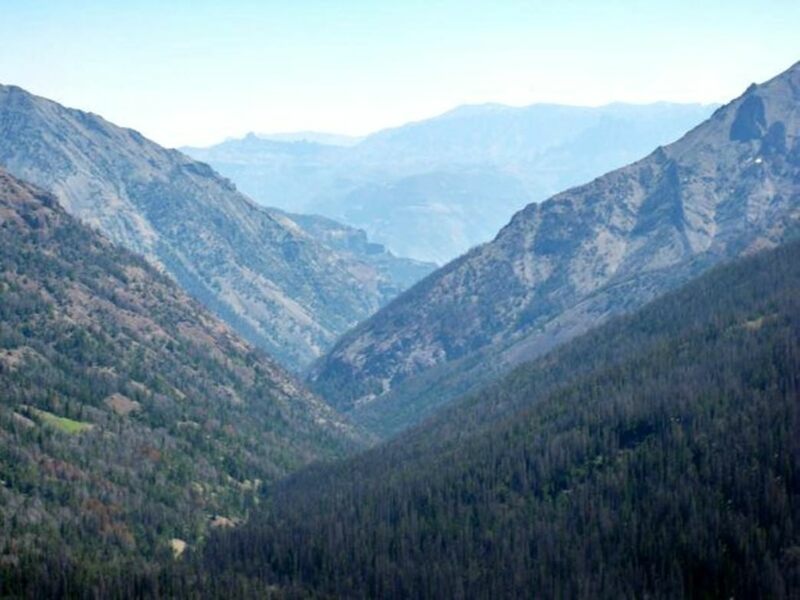 You’ll hike up, all day for 11 miles over Deer Creek Pass. Due to the gorge and the rugged nature of this section, there’s no decent place to camp so you’ll have to keep moving. Once you reach the pass and begin to descend you can find a spot for the tent. Day 2 is more moderate with a gentle grade along Butte Creek and on to Thorofare Creek. There are some wonderful meadows on Pass Creek which would be a good place to camp for day trips in the area. Find a spot you can be happy with for a few days to use as your base. Although this trail is primarily a 27 mile out and back, you certainly could come back into Cody using another route and extending your mileage. The closest return would be back over Pass Creek and Ishawooa Creek. Or consider swinging by the Thorofare Patrol Cabin in Yellowstone, heading north on to the Mountain Creek, slogging over Eagle Pass and exiting at the Eagle Creek Trailhead. All of these routes will add another 25 miles onto the trip and each entails a car shuttle or a previously arranged pickup. If big mileage and isolation is your ticket to happiness, this is your trail. Most of the trail is moderate except for the first day, so you get the really hard stuff over with early on. The wildflowers, the views and the wonder of the region combine to make for an unforgettable experience. 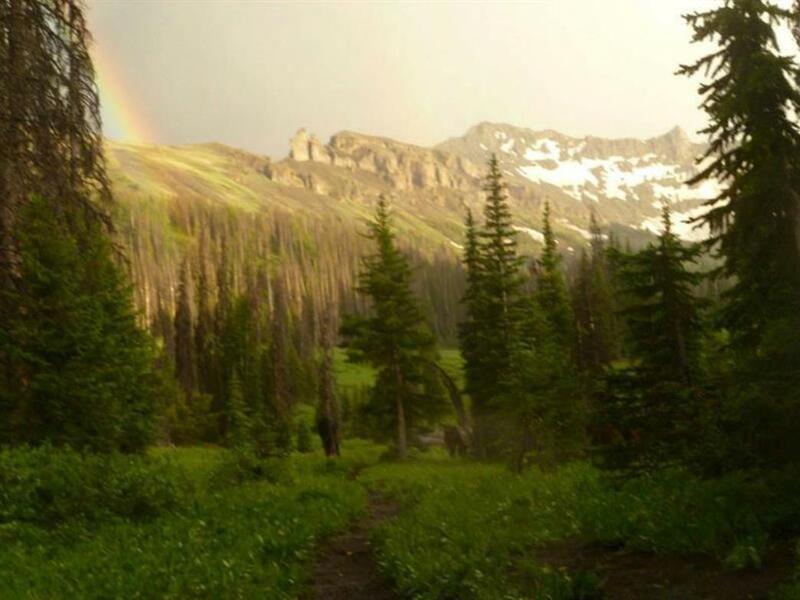 This trail is for folks who are experienced backpackers and are comfortable in big country. There’s generally a lot of grizzly activity in this region, so know how to handle yourself around these amazing creatures. Do not even attempt this trail before July 4. Snow and high creek crossings make it nearly impossible to get into the Thorofare before then. You’ll want to be out by Labor Day because the wildlife draws hunters like flies to honey. From Cody, take Yellowstone Avenue 2.5 miles west to the South Fork Road. Tootle down the South Fork for 41.5 miles to the Deer Creek Trailhead, past the Deer Creek Campground. There’s a good parking area since this is a big launching point for outfitters. You won’t have any cell service. Bring bear spray. Know what you’re doing and go well-prepared.